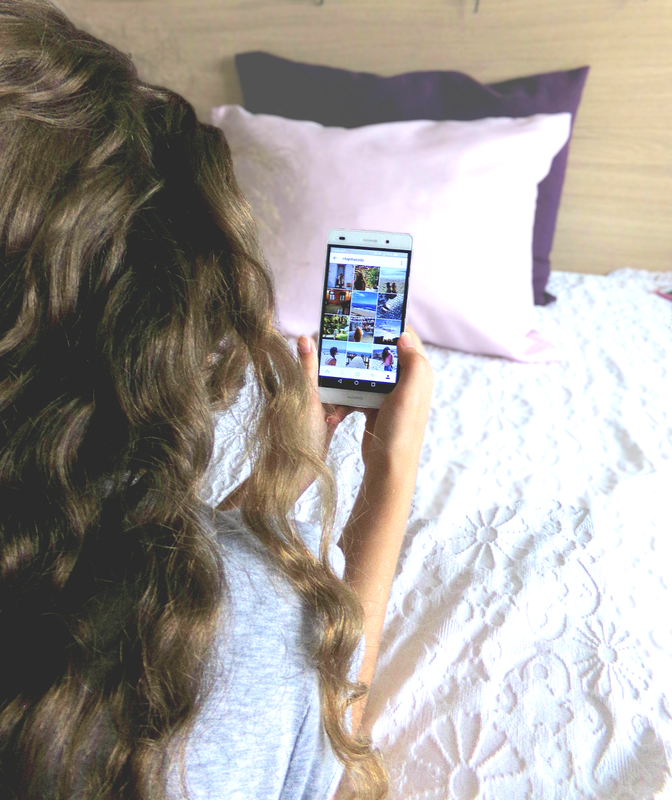 Instagram is so much more than a photo-sharing platform. It’s a place where you can search and find for inspiration and you will always find something new. I follow on Instagram accounts that inspire me and that make tons of new ideas pop in my mind every day. How can people not love Instagram? 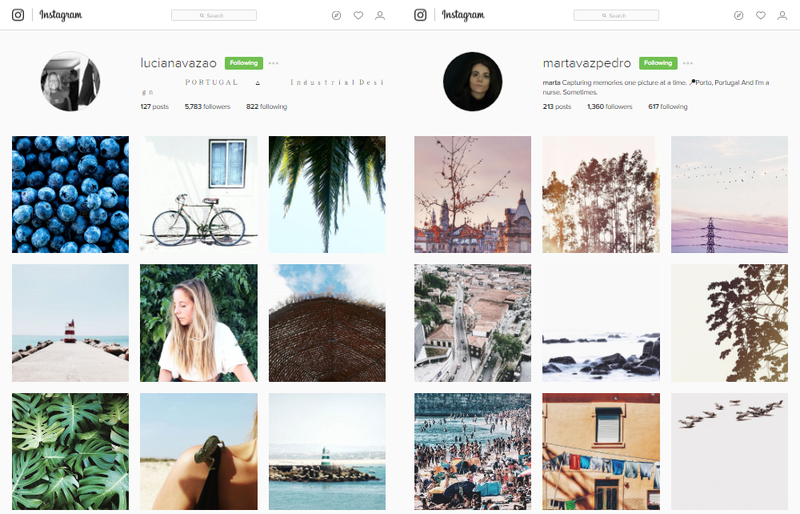 Today I want to share with you 14 Portuguese Instagrammers that will literally refresh your Instagram all the time. Why Portuguese? Well, I just thought it would be a great idea to show you all how much inspiration you can find around here! Maria Guedes is the name of the girl that inspires me the most in terms of fashion. There’s a bit of everything and even the most simple outfits look amazing. A Marmita Da Inês is where I search for inspiration when I don’t know what to eat for breakfast or for lunch. You can find delicious looking meal ideas and all of them are healthy which I’m a fan of. 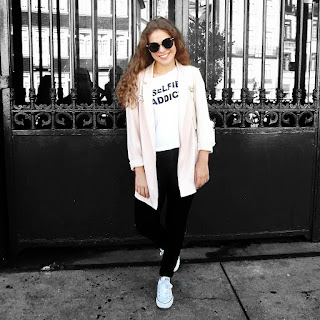 Joana Silva and Sofia Pêga | Two girls that share the most amazing and inspiring pictures of outfits and places. 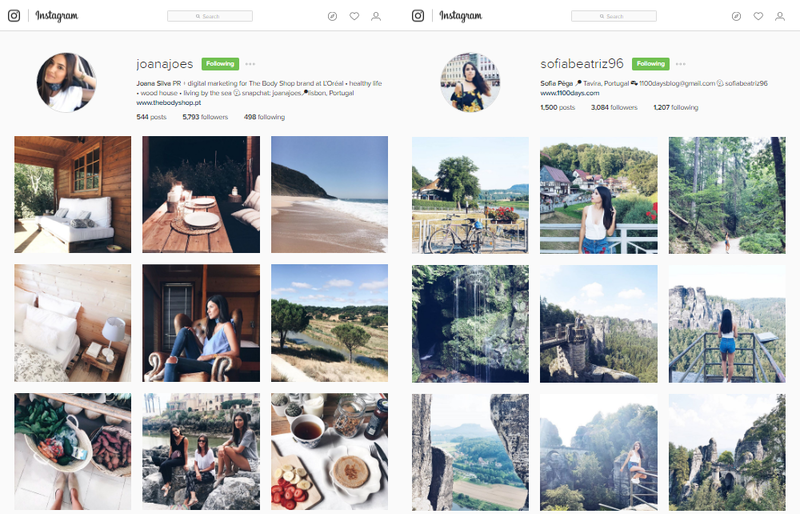 These are two Instagram accounts you need to visit if you love the feeling of nature. 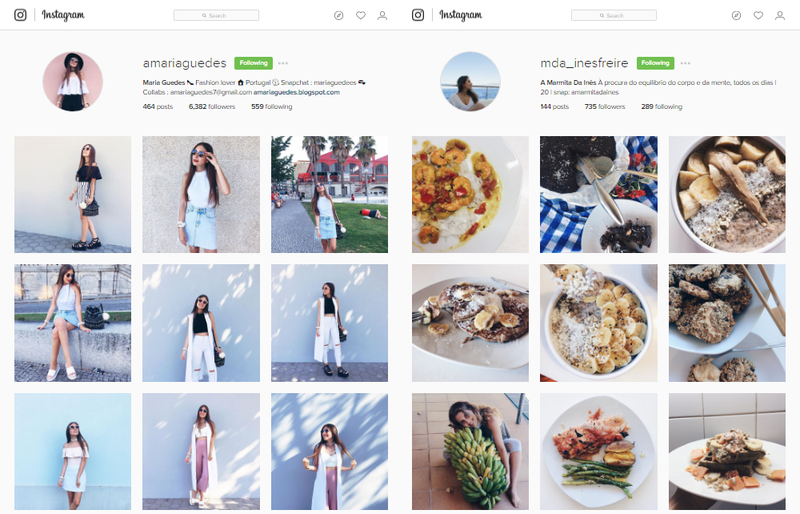 Luciana Vazao and Marta Vaz Pedro | Two accounts you will love if you enjoy details and beautiful places. These girls’ photos exhale calm and peace which is always refreshing to look at after a long day. 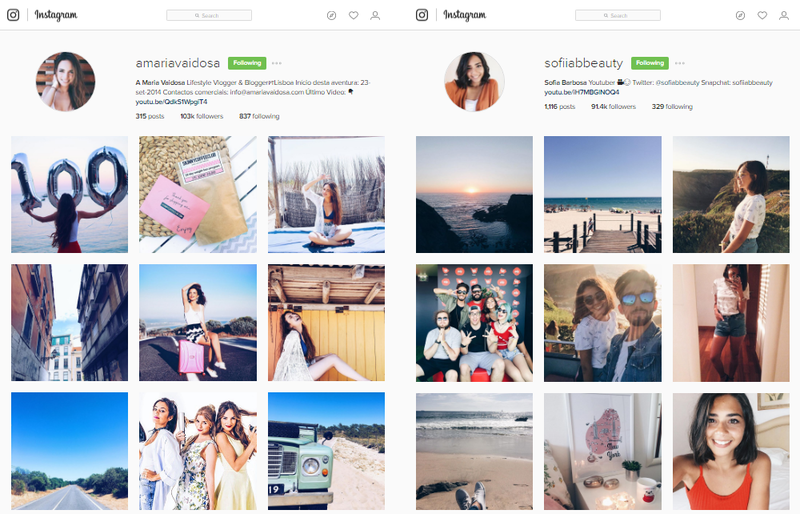 A Maria Vaidosa and Sofia Barbosa | Two youtubers with amazing Instagram accounts. These girls are such an inspiration and they always show themselves very positive. Photos will make you wish you were there. 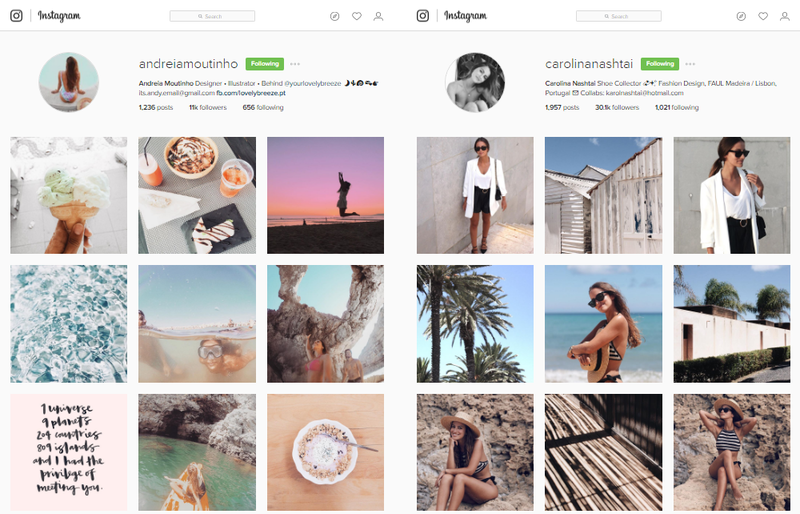 Andreia Moutinho and Carolina Nashtai | Both these girls have a very clean feed with photos that show us enough, they never go overboard. These are photos that inspire me to go out and create my own memories and have moments that are worth sharing online. 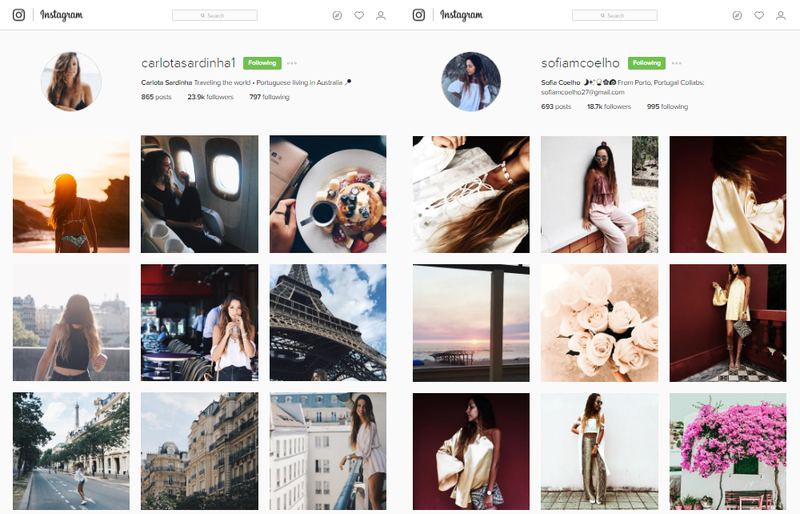 Carlota Sardinha, Sofia Coelho, Catarina Nogueira and Andreia Calisto | Four completely different accounts that always make me feel that life is worth living. These girls are full of life and they always show it on their photos no matter how different they are. Well, we all like different, right? How boring it would be if we were all the same? What do you think of these accounts? 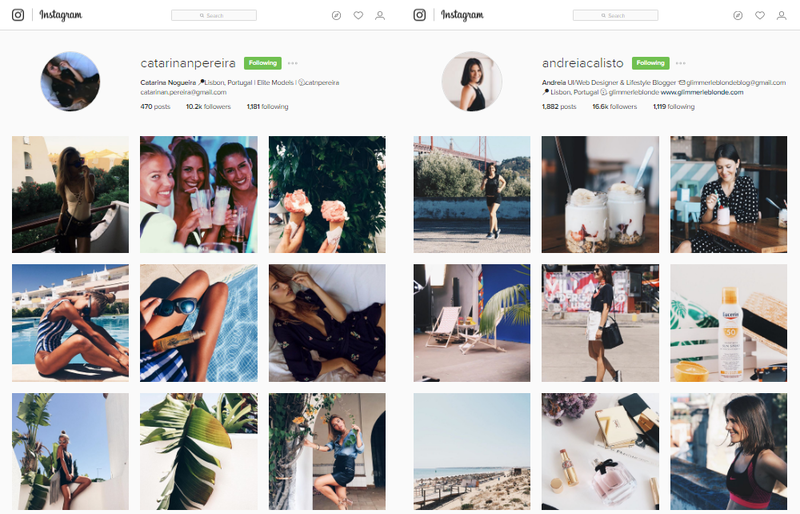 Which are your favourite accounts on Instagram?